When I first got married, I was telling my Auntie Barb about how I had just gone to the grocery store to “stock up” on necessities…spices, condiments, wax paper. To which she replied, “Wax paper? Why do you need wax paper?” I had no answer. I just knew my mom always had it so it must be important, right? 10 years later I can answer that question no problem! I use wax paper all the time. When I tray freeze food (veggies, cookie dough, etc). For greasing pans. For lining pans when baking (as long as the batter completely covers the paper, see comment #5 below for more information regarding baking). The list goes on! Last week our good friend Nikki helped me make Nate’s birthday cake (she’s a baking extraordinaire, even though she’ll deny it). 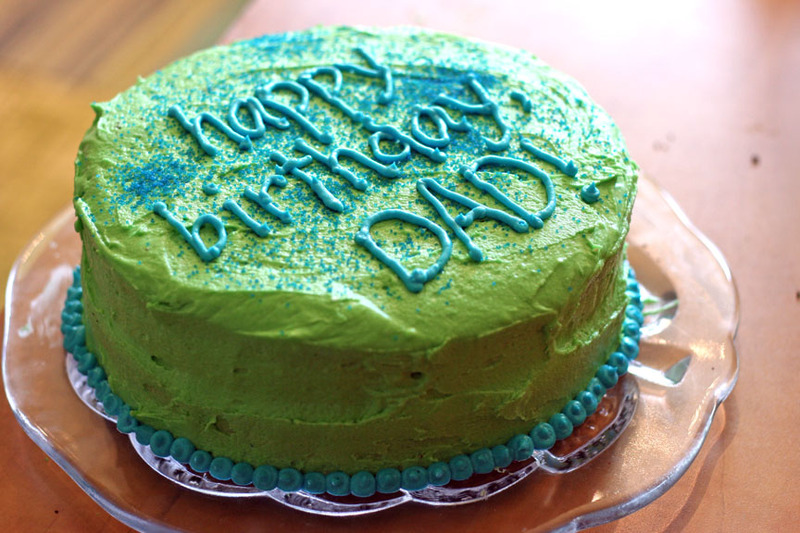 She used wax paper under the edges of the cake so that icing didn’t get on the cake plate. On a side note, Nikki didn’t believe the cake strips tip I shared last year. I asked her if she saw the picture…she figured those cakes were not done cooking. What? Doctored photos on This Week for Dinner? I think not! I used my homemade cake strips while she was here, to great success once again. And, believe it or not, Nikki is still skeptical…what’s it gonna take, girl?!? Back to wax paper…if you have some genius uses for the stuff, please share! Not exactly kitchen uses, but here goes- Wax paper works great to “slippery” up your kids slide. Also works great on metal closet rods and shower curtain rods so hangers and shower curtain rings slide across with ease. Wax paper is my covering of choice when microwaving foods. I used to use paper towels but those always get soggy and soak up half of your food. Your food won’t stick to the wax paper and you can reuse the same piece if you need to warm up multiple plates. I feel like everyone else probably already knew this, but it was a big revelation to me! I’ve wondered about using wax paper for baking, but everything always says to use parchment (which is so expensive.) The wax paper doesn’t melt or give off chemicals or something when used in the oven? you’ve inspired an additional post…I’ll put it up either today or tomorrow, goes hand in hand with this one! 🙂 will have another suggestion for you which could save you some parchment paper dollars, so stay tuned! 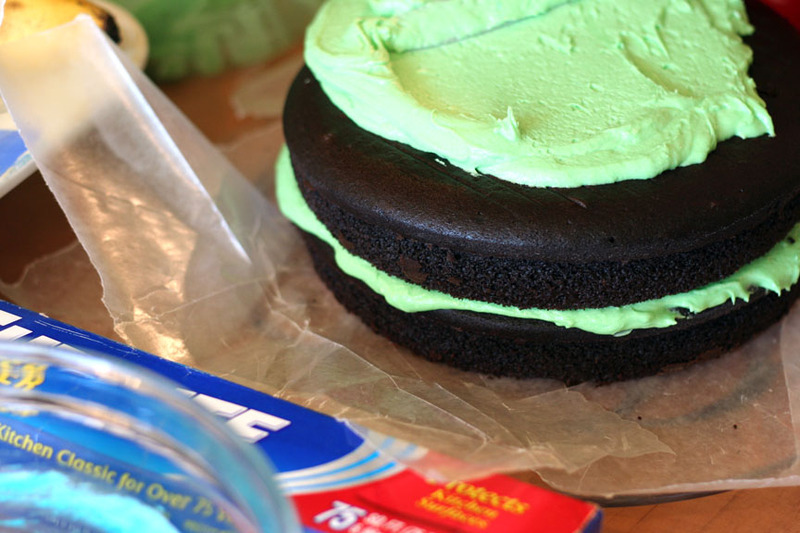 I do the strips for decorating cakes – awesome! I use it when I am mending books. You can mend a tear with a little white glue and a brush and have some waxed paper on either side, close the book and then put a weight on top until it dries. The waxed paper comes right off. I often just use it on the counter when I grate cheese or zest too. It lifts and folds easily to dump into another bowl. Three cheers for waxed paper. I use wax paper to line tins that I fill with cookies and take to work. Long live wax paper!! My grandma used to make weeding cakes, and she always had wax paper AND “cake strips” Her cakes came out flat and perfect every time. I roll out cookie dough between two pieces…the chill it before cutting it with cookie cutters. I use wax paper every day to wrap my husband’s sandwiches up in. I never use cling wrap or sandwich bags for that. It’s the same thing my mother did when i was growing up. Put the sandwich on the sheet of waxed paper, bring up the sides to meet evenly and then start folding over until you can fold no more. Then take each end and fold each side diagonally inward and then tuck the flaps under the sandwich. You can make them really tight to hold a sandwich or dessert. This is the same way a sandwich comes wrapped when you get one from the deli or a hamburger from a fast food place. I have to admit that lately I’ve been wondering what wax paper is for… I used it for the first time yesterday when making fudge.